Annnnnnnnnnnnd another year bites the dust. Depending on whom you talk to, 2009 was either a pretty decent or a completely terrible year for Nintendo. I tend to go with the former, but your mileage may vary. On the Wii front Nintendo played it pretty close to the vest, with only a small handful of 1st party games, though 3rd parties finally stepped up a bit to fill in the gaps. We saw the introduction of Wii MotionPlus with Wii Sports Resort, finally turning the Wii remote into true (or close enough) 1:1 gaming. 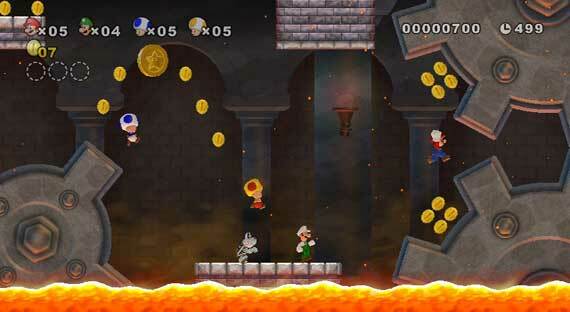 We saw several old school revivals both from Nintendo (New Super Mario Brothers Wii, Punch-Out! !, Excitebike: World Rally) and from 3rd parties (A Boy and His Blob, Contra ReBirth, Castlevania the Adventure ReBirth, etc.) Some were disappointed in the lack of any Mario/Metroid/Zelda level games however, and a popular view was that 2009 was an "off" year for Nintendo on the Wii, who would be back in force in 2010 with Super Mario Galaxy 2, Metroid: Other M, and more. The DS, on the other hand, had an almost inarguably excellent year. 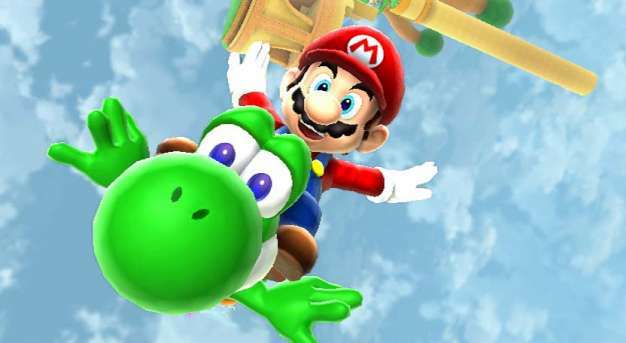 We saw some really big hitters in Grand Theft Auto: Chinatown Wars, Mario & Luigi: Bowser's Inside Spirit, and The Legend of Zelda: Spirit Tracks. RPGs, platformers, music games, puzzle games... the DS had it all. We also saw the introduction of the DSi and DSiWare, which started off a bit slow, but eventually picked up with some quality games. Awhile back there was the question of whether the DS library would start slowing down a bit leading up to a new handheld; that question seems answered now, in the negative. The DS is still king, and 2010 looks great as well. Before getting to the awards, let me explain quickly how we do things here at the Negative World. Nominations are chosen by a group of longtime members (submitted to all members for opinions/changes), and then polls are opened for about a week or so and all members are allowed to vote once and once only. For each category, members can make up to 3 choices; the 1st choice is worth 5 points, the 2nd is worth 3 points, and the 3rd is worth 1 point. At the end the points are tallied up and winners are declared. It's as simple as that. So let's get to it. Birds & Bombs- Nope, it's not the sequel to Birds & Beans, as you might expect. Though we hope it turns out as fun. Dark Void Zero- Who would have thought Capcom's new M-rated PS3/360 franchise would get an 8-bit DSiWare version?! Link 'n' Launch- A game from Nintendo with "Link" in it's title that isn't Zelda related? Interesting. Reflection- Konami's first DSiWare game is a popular choice on most wanted lists. 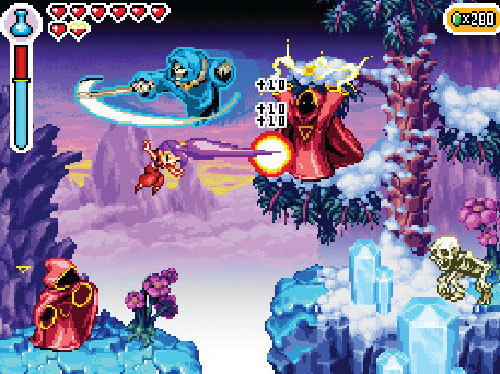 Shantae: Risky's Revenge- The sequel to the much loved, if not very well known, Game Boy Color game. 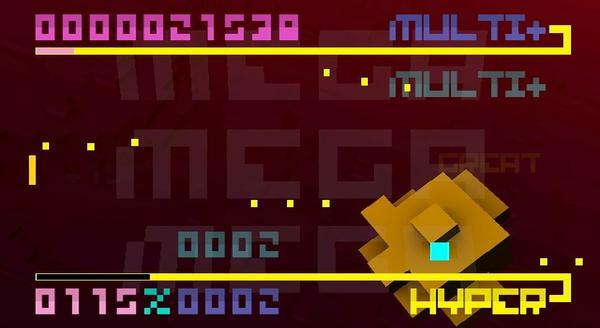 Space Invaders Extreme Z- DSiWare's upcoming version of the popular retro revival Space Invaders Extreme. 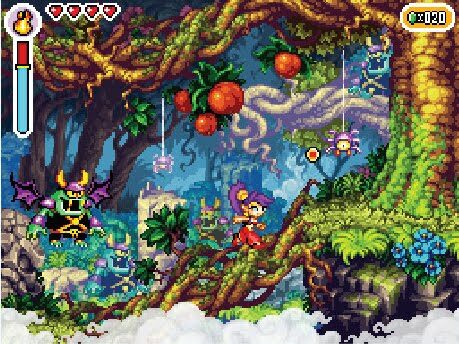 Shantae wins in a landslide vote, more than doubling the 2nd place Space Invaders Extreme Z. WayForward has really made a name for themselves on Nintendo platforms lately, and gamers seem to trust their work. Dark Void fills out the winner's circle, though Reflection wasn't too far behind. Interestingly enough, Nintendo's own 1st party games didn't get much love from the Negative Worlders this time. BIT.TRIP RUNNER- The 4th game in the popular BIT.TRIP series looks to have platforming at its roots. Cave Story- Voted most wanted WiiWare game in last year's poll... and still has yet to be released. 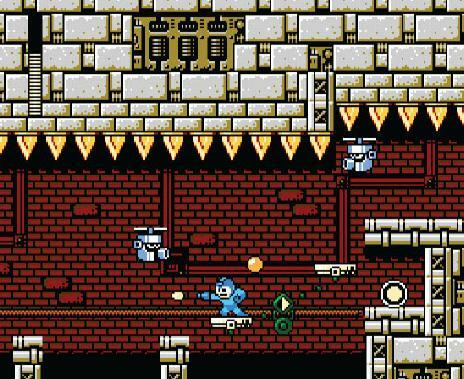 Mega Man 10- The latest iteration in Capcom's popular Mega Man series includes the evil robot master... Sheep Man! La Mulana- The popular indie PC game is making its way to WiiWare and looking great in the process. NightSky- Beautiful looking puzzle game coming from the publishers of Cave Story... eventually? 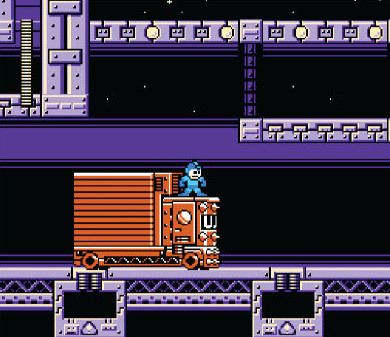 Though it was close for awhile, Mega Man 10 eventually pulls ahead for a solid victory. No surprise, seeing as it is the sequel to the much loved (albeit runner-up Negative World WiiWare GOTY last year) Mega Man 9. Cave Story still gets a lot of love, though Wii gamers have been waiting a bit too long for that one. BIT.TRIP RUNNER just barely edges out Super Meat Boy for 3rd, while NightSky and La Mulana fall a bit further back. Ace Attorney Investigations: Miles Edgeworth- Have you ever wondered what it is like to be in the popular prosecutor's shoes? You're about to find out. Dragon Quest IX: Protectors of the Sky- One of Japan's best selling games in one of Japan's best selling franchises, coming to the West soon. Golden Sun DS- The 3rd game in Nintendo/Camelot's handheld RPG series involving psy powers to manipulate objects. Hotel Dusk 2 (aka Last Window)- The stylistic hidden gem point and click adventure game gets a sequel at last! Infinite Space- Platinum Game's first Wii and PS3/360 efforts were both well received, how will their first DS game fare? Okami 2 (aka Okamiden: Chisaki Taiyou)- Capcom's Zelda-like PS2/Wii game is getting a sequel in the last (and first) place expected, the DS. Negative Worlders are psyched over the surprise E3 '09 announcement of a new Golden Sun, though Okami 2 and last year's Negative World DS most wanted runner-up Miles Edgeworth aren't super far behind. Hotel Dusk 2, Dragon Quest, and Infinite Space all make a respectable showing as well. Epic Mickey- Warren Spector's Wii exclusive has a lot of hype behind it as one of the few major 3rd party games that looks to be getting serious development weight. Metroid: Other M- Nintendo's big E3 surprise is an interesting formula... Team Ninja + Nintendo = a new Metroid game? We liked the trailer, anyhow. No More Heroes: Desperate Struggle- Suda's stylistic and just plain weird action/lightsabre franchise is back for another run. Super Mario Galaxy 2- Another E3 '09 surprise, Galaxy 2 looks to improve on the highly rated original that many consider the best game of the generation. The Legend of Zelda Wii- Not much is known about this game as of yet, but it has been stated by Nintendo that it may be shown at E3 '10 and release by the end of '10. In an incredibly close race, Super Mario Galaxy 2 edges out The Legend of Zelda Wii by a single point, with Metroid: Other M close behind. If more were known about Zelda, would it have taken the victory? No More Heroes makes a decent showing (after all, we can't realistically ask it to compete against Nintendo's big 3) while Epic Mickey and Red Steel 2 pull up the distant rear. Art Style: Base 10- A puzzle game that actually requires a bit of mathematics... who says school is totally worthless? Art Style: PiCTOBiTS- Nintendo combines fun gameplay with massive pixelated nostalgia for a neat end result. Dr. Mario Express- Pretty much what the name says, an express version of the much loved Dr. Mario puzzle game. Flipnote Studio- It's not really a game so much as an animation app, but it's still a heck of a good time nonetheless. Mario vs. Donkey Kong: Minis March Again!- Though the series has seen iterations on both the GBA and DS, the DSi version is often considered the best yet. Mighty Flip Champs!- Also from the team behind Contra IV and the new A Boy and His Blob... we love our WayForward around here. You can't beat nostalgia! PiCTOBiTS edges out Mario vs. Donkey Kong and Flipnote Studios in a very close race, while Dr. Mario Express falls just outside of the winner's circle. Mighty Flip Champs! 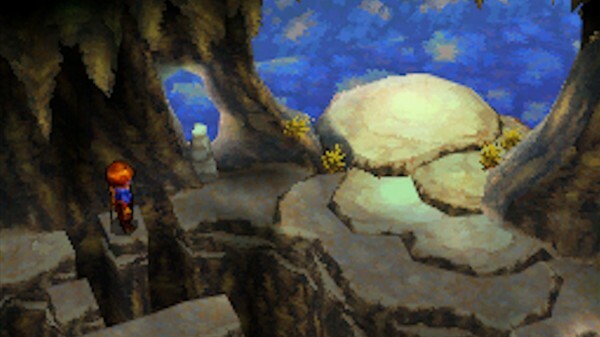 makes a fair showing, though Base 10 is clearly not Negative Worlders Art Style game of choice on the Dsi. BIT.TRIP BEAT- The first in the ever-expanding BIT.TRIP series takes the mechanics of Pong to a whole new music-infused level. Castlevania: The Adventure ReBirth- Konami goes way back to their 8-bit Castlevania roots for a game that is as difficult as it is fun. Contra ReBirth- And another Konami reboot, bringing back the popular co-op franchise in style. LostWinds: Winter of the Melodias- The sequel to the best WiiWare launch game was a long time coming, but well worth the wait. NyxQuest: Kindred Spirits- Though it came from nowhere, NyxQuest may be one of the most creative uses of the Wii remote yet. Tales of Monkey Island (series)- The popular PC series made its way over to the Wii in episodic form, with several episodes releasing in 2009 and beyond. The first game in the BIT.TRIP series takes our GOTY by a fair margin, showing that basic mechanics can still be incredibly fun. NyxQuest and LostWinds, two very similar (yet also very different) games, fill out the top 3. The Monkey Island series gets some love, while Konami's two revivals, perhaps eating each other's votes, fall in at the end. Dragon Quest V: Hand of the Heavenly Bride- Though we tend to frown upon nominating ports, it was the first time this game reached the West, and it deserves all the love it gets. Grand Theft Auto: Chinatown Wars- Though many thought it was impossible, Rockstar managed to bring their popular series to the DS in excellent form. Mario & Luigi: Bowser's Inside Story- The 3rd game in the popular RPG series makes excellent usage of the DS special functionality, while retaining the charm and hilarity of past versions. Professor Layton and the Diabolical Box- The sequel to the Negative World's 2008 DS GOTY involves more taxing puzzles and more dramatic story segments. Retro Game Challenge- A surprisingly faithful compilation of new 8-bit games throws back to the glory days of 8-bit gaming. The Legend of Zelda: Spirit Tracks- The 2nd DS Zelda game has Link in charge of a train instead of a boat this time around, but that's not the only thing that has changed. Another single point difference between two very deserving games, Mario & Luigi just barely edges out Spirit Tracks to take our Negative World DS GOTY '09. Had Spirit Tracks released a bit earlier, would it have ended up on top? Who knows. Yet Mario & Luigi fully deserves the award, setting the series back on track with great dialogue and a vast amount of fun and varied gameplay. The sequel to our DS GOTY '08 fills in a solid 3rd, while Retro Game Challenge, Dragon Quest, and Grand Theft Auto all fall far behind. Little King's Story- A unique and quirky Pikmin-esque game from the developers of Trace Memory and Hotel Dusk. Muramasa: The Demon Blade- This 2D action RPG with some amazing animations is a niche game lover's dream. New Super Mario Bros. Wii- The Wii gets its own version of the DS 2D Mario revival, complete with 4 player cooperative and competitive multiplayer gaming. Punch-Out! !- The much loved NES/SNES franchise is finally revived by the developers of Super Mario Strikers, and appears in great shape to boot. Silent Hill: Shattered Memories- The creepy survival horror series is more survival than ever, removing weapons and forcing the player to escape from evils. Wii Sports Resort- The premier showcase of the Wii MotionPlus is actually an excellent game as well, expanding upon the original Wii Sports tenfold. Was there ever any doubt? In our biggest blowout yet, New Super Mario Bros. Wii takes our GOTY, nearly tripling the closest runner-up, Wii Sports Resort. Though there were some doubts at first, Nintendo fully delivered with New Super Mario Bros. Wii, releasing a super creative (and often challenging) 2D platformer that works both as a single player and multiplayer game and can proudly stand up there with its classic brethren. Wii Sports Resort takes the 2nd spot with its excellent usage of motion controls, and Punch-Out!! 's faithfulness to the classic formula propels it to top 3 status. Little King's Story makes a fair showing as our highest 3rd party Wii game, with Muramasa and Silent Hill not too far behind. So there you have it. 2009 is done, and now it is time to look forward again. 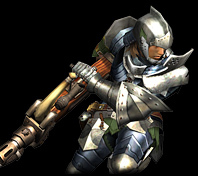 Personally, I'm pretty psyched for 2010 on Nintendo's consoles, not just for the above mentioned (most wanted) big hitters, but for the vast amount of smaller/niche games that are making their way to the Wii and DS as well. And unlike some previous years, 2010 is already starting out strong, with Shiren the Wanderer, No More Heroes Desperate Struggle, Sky Crawlers, Endless Ocean 2 and Tatsunoko vs. Capcom all heading to the Wii by the end of March, while Pokemon HeartGold/SoulSilver, WarioWare D.I.Y., Shin Megami Tensei: Strange Journey, Ace Attorney Investigations, and Inifinite Space are hitting the DS in that same time period. Better get your wallets ready! PS. If you feel like it, check out Negative World's 2008 GOTY results. I dare you. And here we have proof that one vote actually does matter! What a difference in votes compared to last year too. Maybe the next awards will break the 200 mark, don't you think? Great job putting this together Andy. Yeah I had been looking in the database here and there so I knew a few races were close, but I didn't expect two 1 point victories! Actually I'm kind of glad there were no ties, ties sort of annoy me. Maybe if there were a tie I'd have just left the poll open for another day or two, ha ha. Maybe we can break 200 points next year. I dunno though, this year had a clear front-runner for GOTY, next year may have Galaxy 2, Other M, AND Zelda... or probably at least two of the three. And maybe even Retro's secret game. Yeah, quite a few one-vote finishes! Overall I cannot complain about 2009 at all. I haven't even played half those games (still need to work Muramasa into my collection soon!). And great job with this, as always. Maybe next year we can ALSO not blatantly leave out some of the most amazing games. Would it really ruin the polls to have two or three more in each section? Strange BUNKER MAN, you didn't appear in the nominations thread to make your voice heard. But we are thinking about just having an open poll next year. Let any game be submitted for any category and if the user submits something that doesn't fit, that's their problem. Wasn't there a novel called BUNKER MAN? A resounding "Boo!" to all Negative World members that didn't vote for Grand Theft Auto: Chinatown Wars! An obligatory "... buh..?" at the exclusion of Phantasy Star Zero in the nominations! Good results. I see the NW hivemind mostly agrees with me. Nice thread, Zero. The poll was also well executed with good choices and variety. About Zelda Spirit Tracks, I think you may have a point. 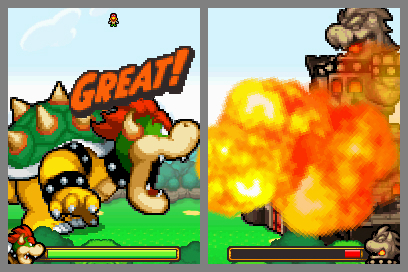 The farther I get in the game the more it inches towards dethroning Bowser's Inside Story as my GOTY. Had I just switched my top 2 votes, the winner would have been different! Both amazing games though, no one can argue that. ^ That's how I feel about Spirit Tracks, it started off just another handheld Zelda game, and ended up my overall GOTY (though admittedly it was a tough choice and I just ending up picking one to have one). It gets progressively better and better, if you haven't played the last few dungeons/tower areas yet I won't spoil anything, but they are some of my favorites in any Zelda game... so creative and thought-provoking. Mario & Luigi is amazing too though, no doubt. Bah, almost none of the games I voted for won except NSMBW. How can you guys look forward to Zelda and Mario so much when they're probably still pretty far away? NMH2 is imminent and looks really cool! Bit.Trip Beat and Nyxquest doing so well warms my heart, though. That's the great thing about having separate WiiWare/DSiWare categories, smaller games actually have a chance of winning GOTY awards. It's tough to look forward to Zelda too much, true, but I'm very hyped for Super Mario Galaxy 2. There has been a lot of media for it and it all looks spectacular. And it could be releasing as early as Spring... who knows? But I want Metroid: Other M more than Mario and Zelda...What about what I WANT! Ah, but Galaxy 2's a sure thing, and Other M could still end up wonky! Nice awards! Congrats to the winners. And congrats for LKS being the 3rd-party Wii GOTY in a year full of solid 3rd-party games! Yeah I had to make it a sort of unofficial category. Though I wonder how A Boy and His Blob would have done had it been a contender. Maybe next year we will have a specific 3rd party or "niche" category to get around the predictability of Mario/Metroid/Zelda whatever other big games release on the Wii taking the spotlight from the smaller games... and DS for that matter. WiiWare and DSi probably don't need a niche category, most everything there is smaller developers or indies as it is. I voted for the winners of all but 3 categories! :] And the rest were voted as my runner ups, except Pictobits cause I don't have a DSi. Some close contests, too. Awesome. I bet Zelda would have clinched the most anticipated category if only more people believed it was coming in 2010. NSMBWii deserves it's '09 GOTY spot. It is a truly authentic Mario game. I was playing it until 2am last night. Wonderful tight presentation, charm, pixel perfect gameplay and it's addictive in that unique Mario way. Good choices. The only GOTY I wouldn't have voted for is Bit.Trip Beat, but I haven't played any WiiWare games this year, so I wouldn't have voted against it either. I would have picked different choices for the anticipated games (like Metroid: Other M, Cave Story, and Miles Edgeworth), but they're not bad choices. I have never before seen that emoticon. It's awesome. I have to play more games. I was ill-equipped to vote. Giant Bomb did some interesting stuff with their categories, so that no one game would just sweep everything. Separating out third-party games is a pretty good idea.